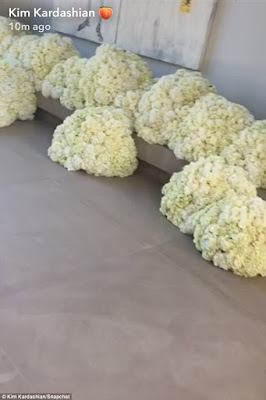 Kim Kardashian is still swept off her feet by husband Kanye West.The 36-year-old reality star came home to a house full of flowers to celebrate their 3rd anniversary yesterday. 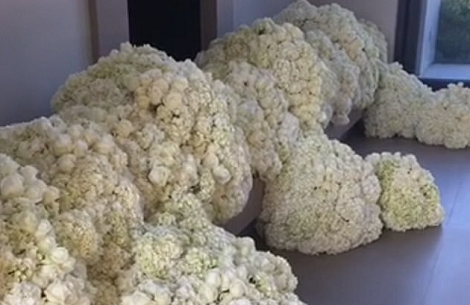 ‘How cute that I get to come home and see these gorgeous floating flowers,’ Kim said in the video posted showing huge bunches of white blooms lining her floors. Kim and Kanye first started dating in April of 2012. In December of that year, they announced their first pregnancy.